Comet ISON's orbit around the Sun, computer artwork. 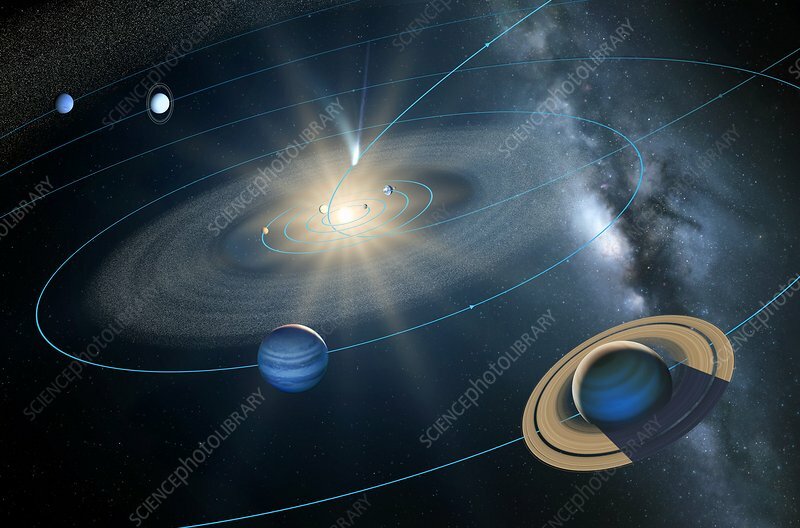 The planets of our solar system can be seen orbiting around the Sun (centre) with their orbits traced out in blue. Comet ISON (just above the Sun, centre) is approaching its perihelion (the point at which an object is closest to the Sun). ISON reached its perihelion on the 15th of November 2013 and became visible to the naked eye.